CeBIT is the world's best known, most successful trade show brand. 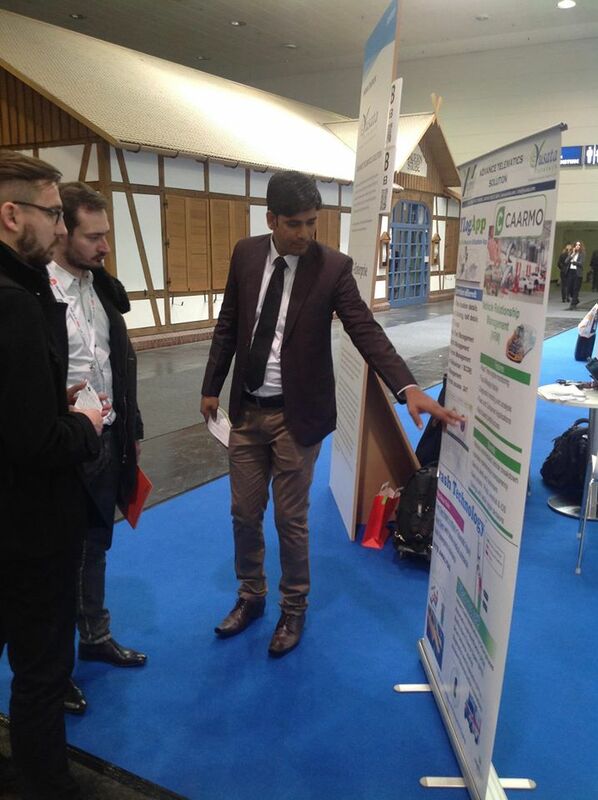 Yusata Infotech participated in CeBit-BITS 2015, on 16 - 20 March Hannover Exhibition Ground, Hannover, Germany. CeBIT is the world's best known, most successful trade show brand. CeBIT is exhibition & conference for IT & Digital Business. Key topics of CeBIT 2015 are Big Data & Cloud, Digital Transforming, Internet of Things, Mobile, Security, Social Business. The CeBIT Global Conferences provide a 360°overview of the digital industry and give top visibility to sweeping trends and innovations. This global network of business leaders, forward thinkers and social innovators reveals, explores and debates trailblazing technologies and how they will shape the year ahead - for the benefit of both the working world and society at large. Yusata, is a leading organization in Advance Telematics Solution with enhanced features of Vehicle Remote Diagnostics and Crash Detection / Notification. Vehicle Remote Diagnostics provides full access to all diagnostic data, reporting, vehicle status, and maintenance details. It provides the Vehicle health assessment report helping in proactively managing your vehicle functionalities. This feature helps you reduce your maintenance cost and enhance ROI. Advance Crash Detection and Notification is an algorithm, which provides you real time information on any crash incidence with its severity, Body Injury &Trauma Expert, DENT status and estimated repair cost. We would like to thank our delegates for making their presence at our booth in CeBit - BITS 2015.